Check out the 20 for 20 at Chuck E. Cheese's! HomeCheck out the 20 for 20 at Chuck E. Cheese's! We love Chuck E. Cheese's! My family goes often. We should totally be known by our names by now! I am stoked to share with you a new offer! 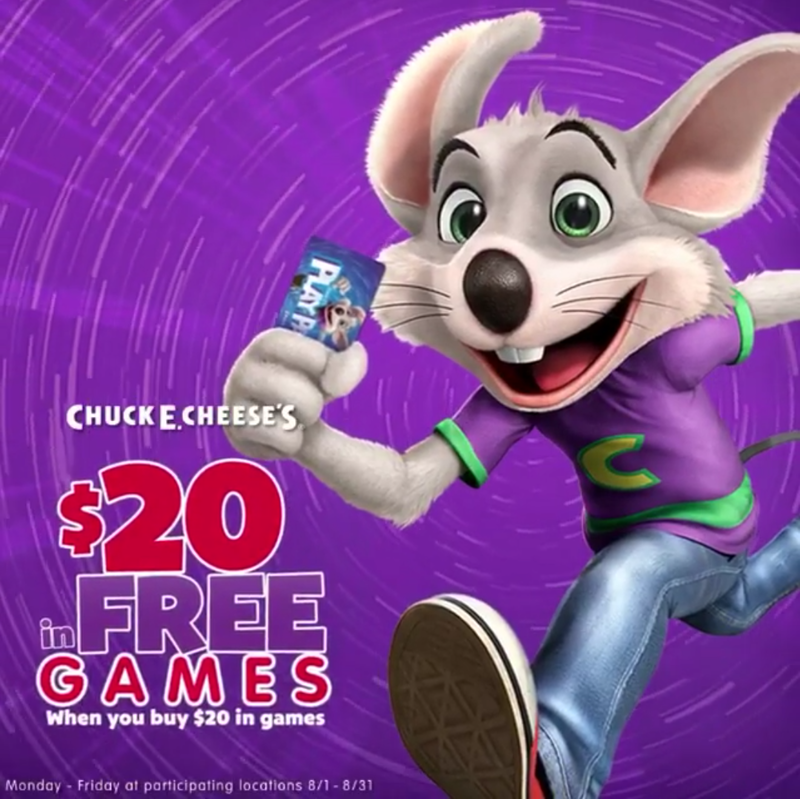 During the month of August, Chuck E. Cheese is rolling out their most exciting gaming offer yet. On weekdays only, guests who purchase $20 or more in games (Play Pass points) will receive $20 of FREE gameplay. As summer starts to come to a close, Chuck E. Cheese wants to keep the fun going. How exciting is this?! Visit the Chuck E. Cheese's location on their website to see a location near you! Be sure to stop by Chuck E. Cheese's on their social channels to stay up to date with the latest below!